I am afraid of hoarders. Because you guessed it, I am afraid I will become, I mean I'm afraid I am already...a hoarder. And I am really afraid that my daughter is once again following in my footsteps. She is more knickknack-y than haorder-ish. Her room drives me crazy. I am more a stuff everything in drawers and hide piles in closets kind of gal. Lucy displays everything, even one-armed porcelain statues she got out of one of my memory boxes. Ahhh, memory boxes. I have moved a lot of in my life. But somehow I have managed to keep several large memory boxes. That is the positive side of hoarding-type behavior, I kept a lot of personal little treasures that are insights into my past. 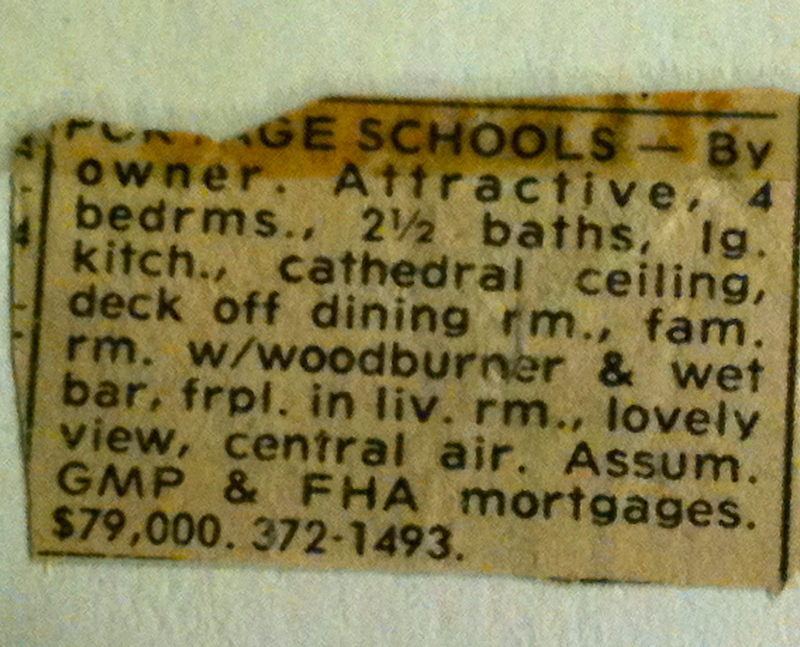 Treasures like my Cabbage Patch Doll's adoption papers and the original Charlie's Angels trading cards. Priceless. The classified ad for the first home my parents bought in Michigan and then sold to build their dream house. 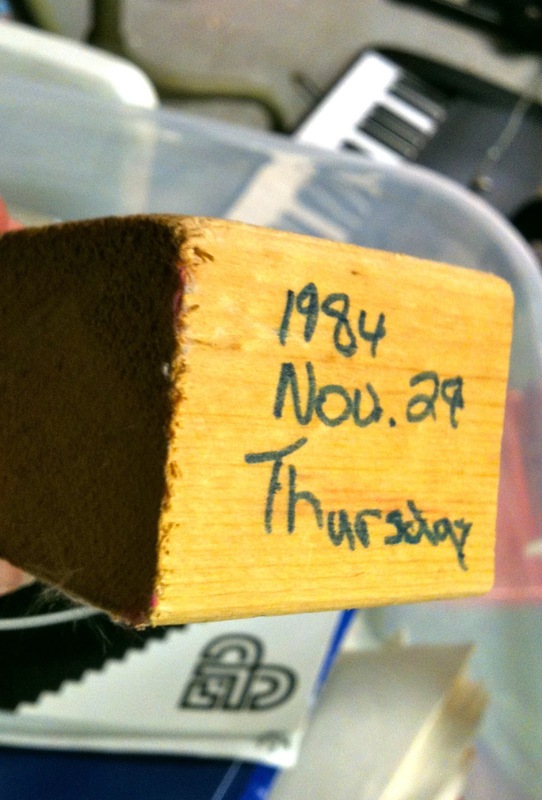 Then I found a piece of wood from that dream house they were building and I even wrote down the date! Lucy and I also uncovered a box I had completely forgotten about, my old prom, homecoming and fancy high school dresses. 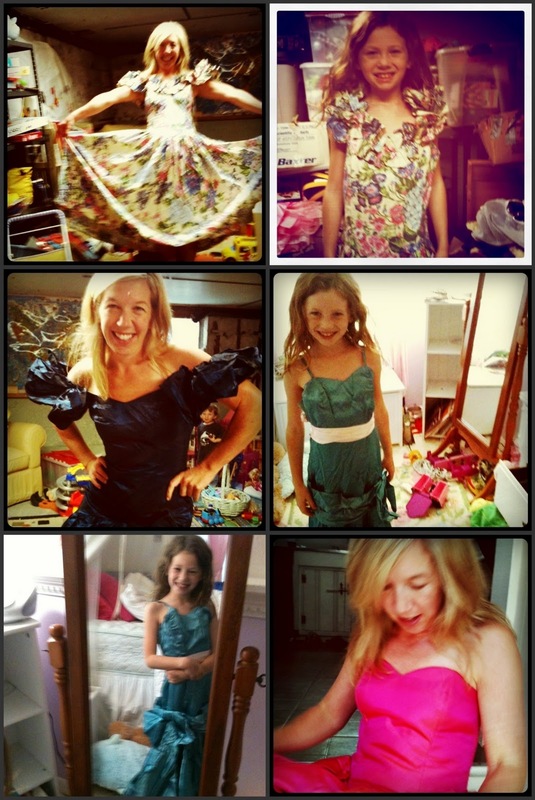 And she and I had fun trying them on. Do not be fooled, none of the backs of my dresses were zipped up completely. As Lucy and I looked through all the boxes one Saturday afternoon, I told her stories about all of it. I told her how cool Charlie's Angels were and how they can really never be replaced. She didn't really get the appeal of Cabbage Patch dolls. I told her what my houses were like growing up and about all the fun (okay not all the fun) I had in those old dresses from high school. She was listening to every word, asking questions, laughing with me and at me. It was a full circle moment. I remember trying on my mom's old prom dresses and wondering just what my life was going to look like. Now I know and I am sharing it with my sweet, knickknack-y little Lucy. And I watch her look in the mirror as we both wonder what is in store for her.